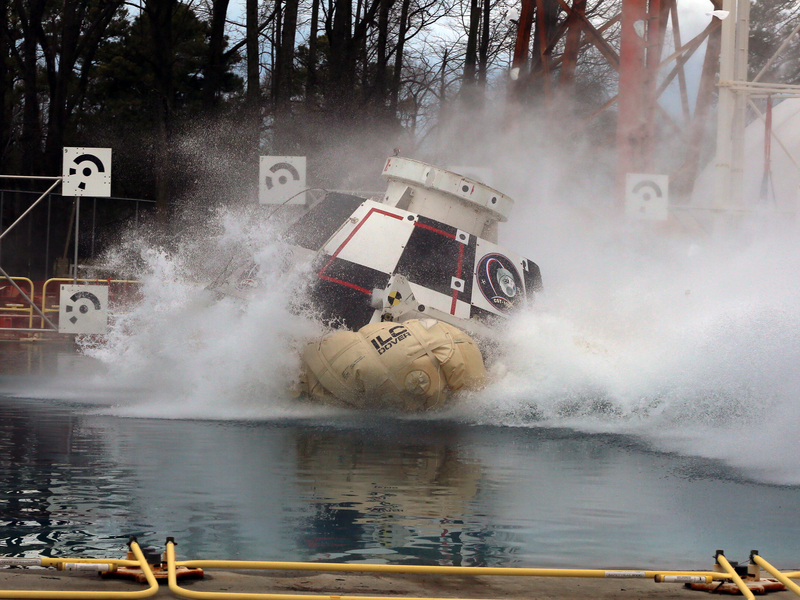 The Boeing CST-100 Starliner airbag system, which will provide a safe landing for the spacecraft during any phase of flight, was put to the test over the 20-foot-deep Hydro Impact Basin at NASA’s Langley Research Center in Hampton, Virginia, on Feb. 9. The Starliner is one of two commercial spacecraft in development to launch astronauts from the U.S. to the International Space Station via NASA’s Commercial Crew Program. Six landing airbags, designed and manufactured by ILC Dover in Frederica, Delaware, were inflated before the full-size Starliner test article was hoisted up by a crane and then dropped from a height and angle that mimicked what the spacecraft might encounter as it pushes off an Atlas V rocket during a launch or ascent emergency. The goal for Boeing’s landing and recovery team is to achieve flight qualification status of the Starliner’s airbag and up-righting systems through a series of tests at Langley’s Hydro Impact Basin. While the Starliner is designed for land-based returns, it is important for engineers to understand how the spacecraft and its systems would perform in all landing scenarios.